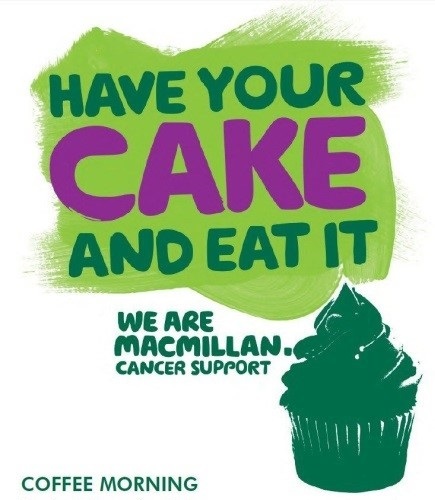 VP will be taking part in the World’s Biggest Coffee Morning on Friday 29th September to fundraise for Macmillan cancer support charity. Please feel free to pop along and join us to help raise money for this inspiring charity. There will be selection of drinks and cakes on offer – along with a few friendly faces from the VP office. During the coffee morning we would like to invite you to come and participate in the VP Cake off which will involve making a £2 donation to enter and our lovely panel of judges will have the pleasure of tasting each cake before choosing a winner and presenting you with… the ‘Best Baker’ badge of glory. If you are not able to attend the event on Fri 29th Sept there is many ways you can make a donation. You can either via text, phonecall, post, online or popping into your local bank. For more details, give us a call on 0870 850 4265 and we will be happy to help.